The technology for lead-based paint abatement & remediation has progressed significantly over the years. Our priority is to provide our clients every advantage at the lowest possible cost, using the most advanced, efficient, and comprehensive abatement procedures available for exceptional, accurate results in a minimum amount of time. 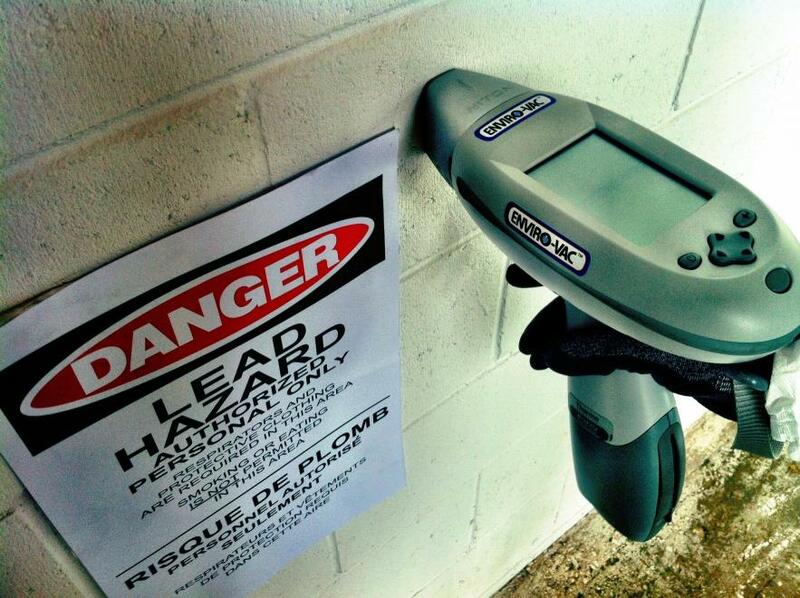 Enviro-Vac is pleased to announce that “point & shoot” lead testing and Analysis performed in conjunction with our abatement service is now available. Enviro-Vac has obtained certification through the Nuclear Safety Commission (CNSC) after completing the multiple operator certifications and a “Radiation Safety Training Program” required to operate a state-of-the-art XRF Gun. University of California, Berkeley - Lead Based Paint Abatement Certified. Enviro-Vac is the only known Canadian Company that is fully compliant with EPA Certification Section 402 Toxic Substance Control Act. Certified by Canadian Nuclear Safety Commission (CNSC) for operation of portable x-ray fluorescence testing and analysis devices. As with all hazardous materials abatement projects undertaken by Enviro-Vac, we understand the importance in properly documenting lead abatement projects from the beginning to the end. Our ability to perform challenging lead abatement projects, often utilizing fire-rated shrink-wrap containments and special industrial vacuum loaders and automated baggers including special waste transportation and final disposition is what sets Enviro-Vac apart from our competitors.